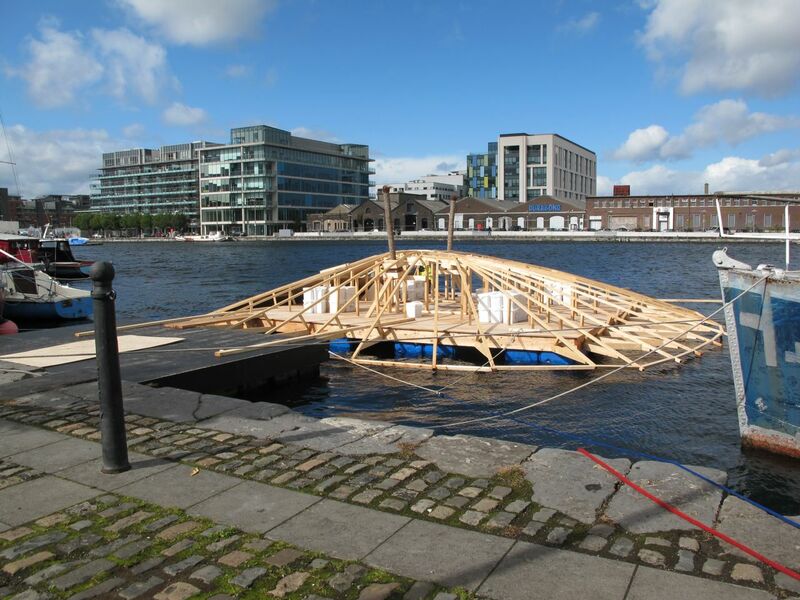 Work is well under way on No Man's Land and it will hopefully be ready for its unveiling on the Liffey this Friday morning at 11am. 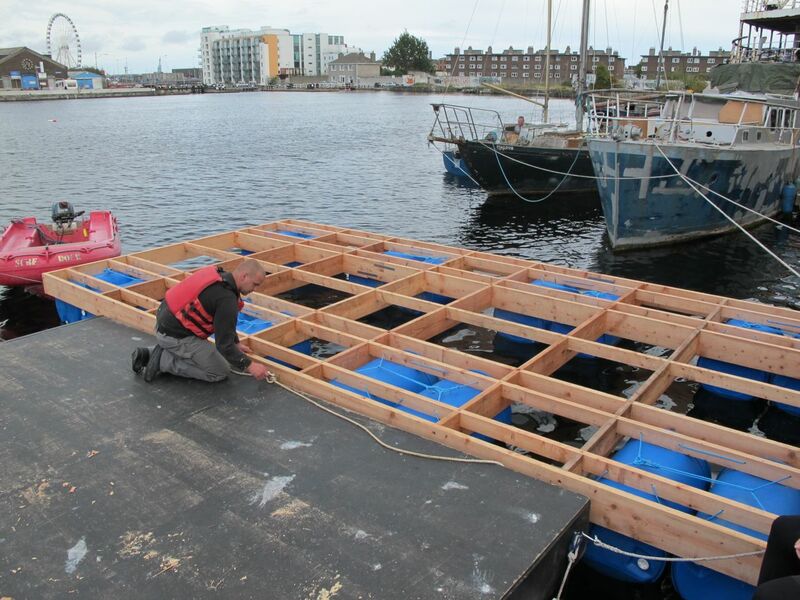 I take up residence on the island for one week beginning on Saturday September 10 at 12 noon. 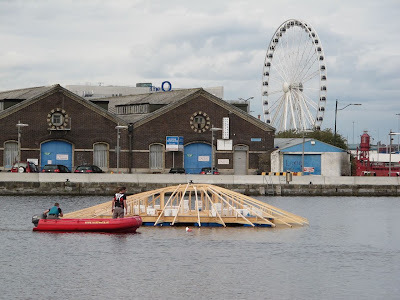 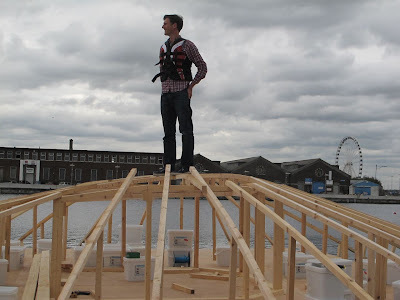 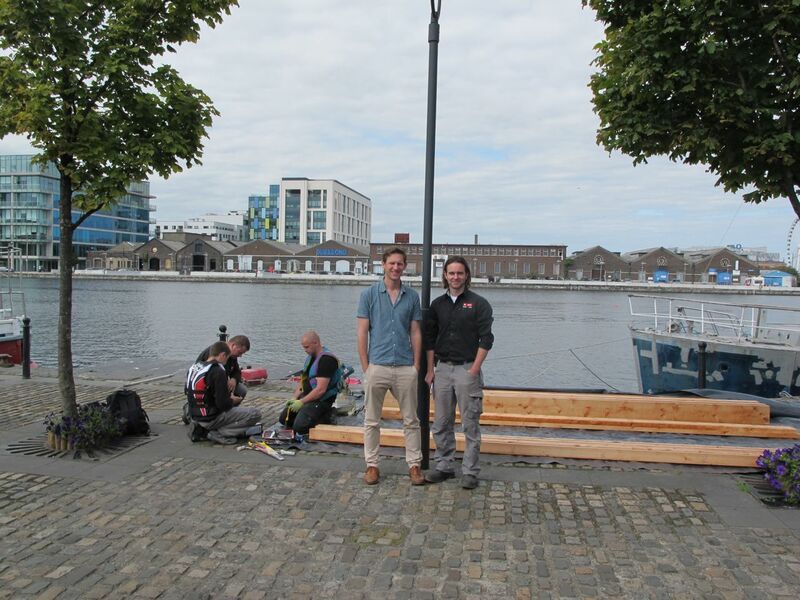 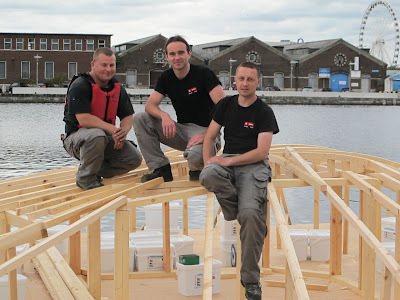 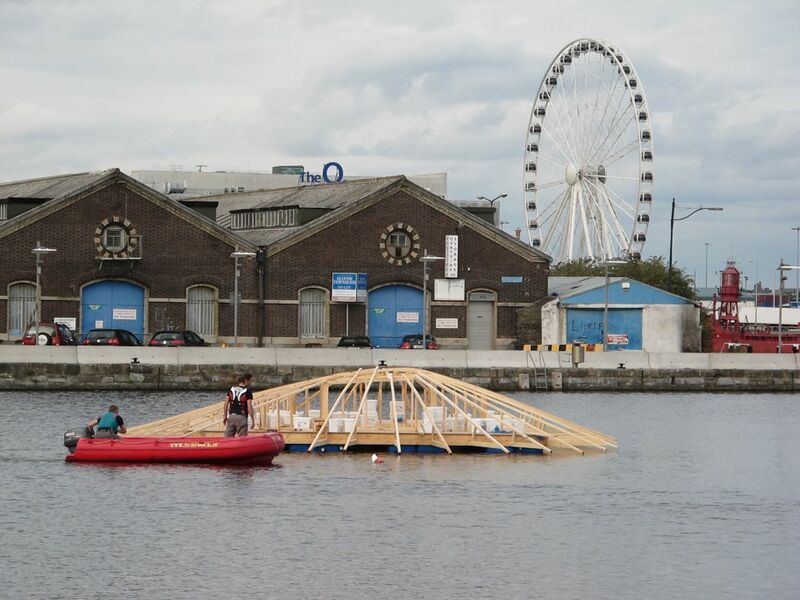 Gareth Nihill and his company NSpace are building the island and they have temporarily colonised the quayside at Grand Canal Dock where the structure is being assembled. 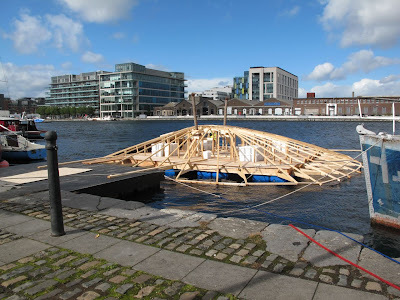 Arena, RTE Radio 1's arts show broadcasted an interview about the project last Monday night which you can hear here here.